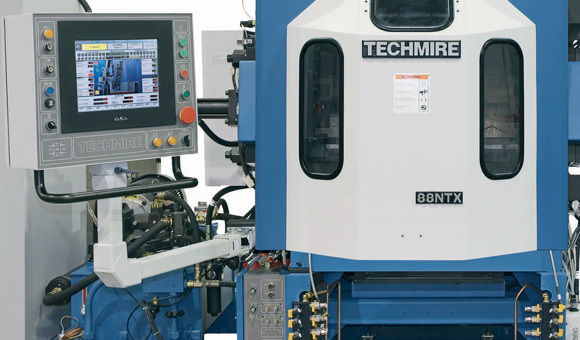 The 88 NTX was developed for single cavity production of large surface area parts as well multiple cavity production of smaller components. 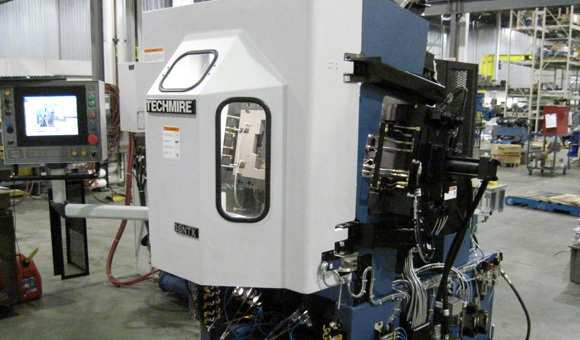 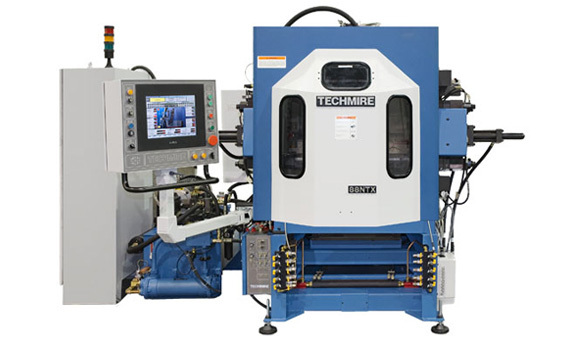 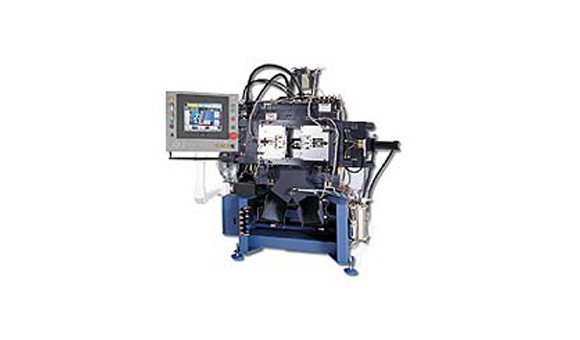 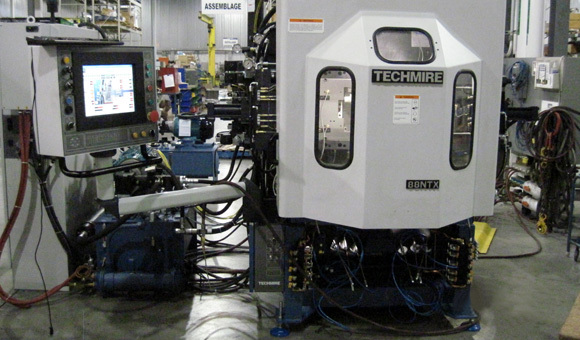 It is the largest die-casting machine manufactured by Techmire. 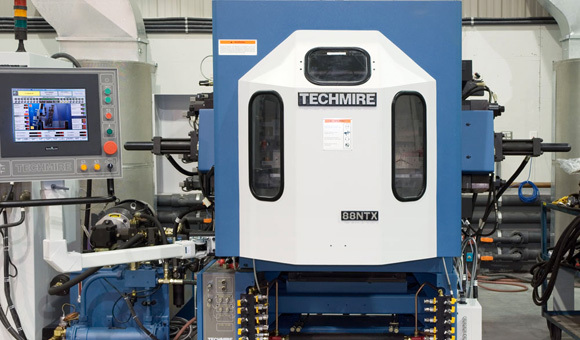 The 88 NTX machine is capable of reaching a dry cycle speed of 2,100 cycles per hour. 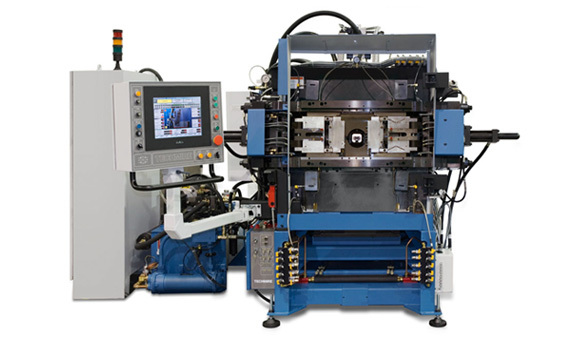 The 88 NTX is equipped with a quick die change system, which allow die changeover of a two (2) slide mold in as little as 15 minutes.